We extend a warm welcome to the public. The Cornwall Golf and Country Club offers the ideal setting for your corporate and private events. Our facilities are perfect for any size function including weddings and formal dinners, corporate golf tournaments and meetings, as well as intimate dinners. We can accommodate up to 200 people. 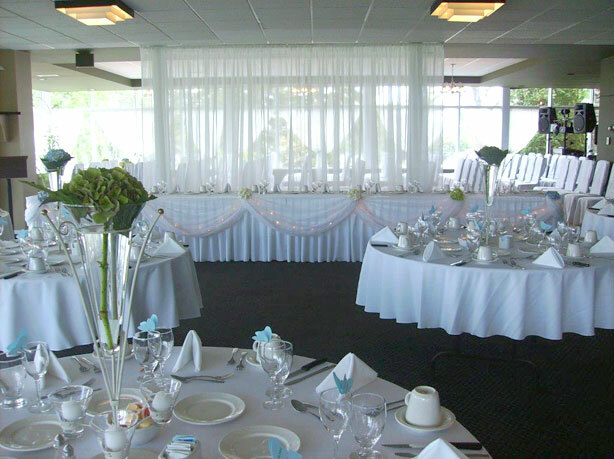 Our dining room is surrounded by a spectacular panoramic view of the golf course and the St. Lawrence River. The Lounge & Dining rooms open onto two stone patios overlooking the golf course providing an impressive setting for any event.